About Richard Sherman . . . I just realized that Richard Sherman is my nephew. My oldest nephew is 25. So is Richard Sherman. My nephews are smart. So is Richard Sherman. All week we've heard about Richard Sherman's rant. Why haven't we been hearing about the other things Richard Sherman is known for all season? He's a graduate of Stanford. He graduated from high school, number two in his class. He runs The Blanket Coverage non profit organization that helps kids get the most out of their education. When he launched this in September, I don't remember hearing a damned thing about it. Didn't see wall to wall coverage on it. But his post game rant is still being played. And you know what, I'm not going to call it a rant. I rant every day. And when I do, you can best believe there is some colorful, sailor like language going on. Richard Sherman did none of that. NONE. OF. THAT. But this Vine is funny. I find myself looking at people wanting to shout, "Don't You Ever Talk About ME! Don't you open your mouth!" But I digress. 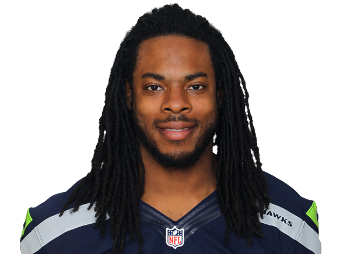 I've heard a lot of white people say Richard Sherman is a jerk, a thug, a loser and a jerk. I think what they really mean is, I'm jealous of Richard Sherman and I wish I was as smart and as rich as he is. Look, white folks who are mad at Richard Sherman, Peyton Manning is not going to be your savior and the Seattle Seahawks are going to win the Super Bowl. And if Richard Sherman yells at the end of the game, America: You. Will. Deal! I'm sure Pam Oliver doesn't give a . . . .